The millennials, those born between early 80’s and early 2000’s, are already starting to dominate the workplace. In fact, it’s been projected that by 2025, 75% of the global workforce will be composed of millennials. These millennials are known to have a disruptive mindset. And they’ve been bringing about changes in almost every industry, especially in talent acquisition. With stable economies, better working environments and higher technology, millennials are changing how we look for jobs. Brought about by these changes, job hunting tips from those who came before the millennials won’t just be enough. Below is a list tailored for the millennial who wish to enter the workplace or maybe switch career. Be visible The internet works in both ways. It has enabled businesses to advertise vacancies to a much larger audience, while also enabling the jobseekers to be visible to the headhunters. It pays to create an attractive and complete profile on joblisting sites. Start with LinkedIn, Jobstreet and Monster. The more sites you join and create a profile in, the more visible you become to those seeking the talent and skills you possess. Stand out A larger audience for employers means tighter competition for you. In order to stand out, your cover letter needs to do the talking. Make it sparkle enough to keep the recruiter’s attention and reasonable enough to mention your goal and highlight your achievement. At this point, it matters that you’re able to string up words properly. For your resume, recruiters don’t spend much time reading the details so make sure you’ve highlighted what you do best in a way that stands out at first glance. Think outside your industry Instead of searching for specific skills or positions in job listing sites, try broadening your search to include other industries. Think of other industries where your skills can come into use. Finished a psychology degree? Don’t limit yourself checking out human resource jobs. There are psychology graduates who are now successful in sales, marketing and even business. Network and use it Now this is a classic advice but will always be relevant. Technology these days even makes this a lot easier. Whenever you’re surrounded by like-minded individuals or professionals along your line of work, never forget to exchange business cards or simply find a way to keep in touch. You never know when they come in handy. Check out your friends list in facebook, you might have added an acquaintance from a company you’d like to get in. Ask them for job vacancies and you might even get a referral. Keep moving Even when you’re unemployed, you don’t want potential employers to question gaps in your resume when they review your experience. Never be idle even when unemployed. It could be focusing on your passion, doing volunteer work, or learning a new skill or hobby. Preferably, it’s something related to your industry or line of work. Most employers understand this need for gap periods especially for millennials so impress them by filling those gaps with productive activity. Job hunting may have changed for the millennial. Those tips above only guide you to be more effective and efficient in using the technology this new age has provided. At the end of it all, your success will still depend on you. According to studies, around 90% of women around the world have cellulite. So if you have this skin problem, keep in mind that you are not alone. Even ladies who have a slim figure may have it at some point in their lives. Genetics is the main culprit as to why women have cellulite. But although the majority of women all around the globe have this, many are still adamant about getting rid of it. The unsightly dimply effect of cellulite on one’s legs, thighs and arms are enough to lose your confidence and affect your fashion sense. You’d want to cover up affected areas even when it goes against your style. We know that cellulite is fat that is lodged just beneath the skin. To remove these fat deposits, go straight to the affected area and dry brush it. Dry brushing encourages blood flow and helps to remove toxins accumulated in the area. Dry brush in a circular motion for at least five minutes daily. Use the best cellulite cream. There are hundreds of anti-cellulite lotions and creams available online, so how do you choose the one that’s right for you? Look for products that are most recommended by people around you, and not by people who live across the globe. The climate and the lifestyle may have an effect on the results they achieved. It is best to choose an anti-cellulite product recommended by fellow Malaysians. Coffee grounds aid in exfoliation of dead skin cells, while promoting the regeneration of healthier ones. Coffee is usually a primary ingredient in cellulite creams, but you can enhance speed up the reduction of cellulite by using actual coffee grounds on your skin. Furthermore, scrubbing your skin often allows it to better absorb the cellulite lotion you slather on. Do yoga or stretching exercises. The best way to get rid of fat is by exercising. Fat is expelled through sweating, and we know that cellulite is basically fat so more movement allows you to sweat more. Yoga is the most recommended form of exercise for cellulite removal because it works the arms and legs more. It further tones the areas where cellulite is apparent. If your BMI is higher than recommended, then it’s about time that you shed some of those extra pounds. It is harder to remove cellulite if there is more fat than muscle. Getting rid of cellulite naturally is not impossible. However, if your need is so great and immediate that it is already affecting your confidence and your day to day activities, medical procedures are always an option. Malaysia is one of the most underrated places in Asia for families. When people think of a family getaway, they almost always have Asia’s more tropical spots in mind. However, Malaysia offers a much more exciting alternative. It offers both the distinct hype of the big city and the quiet of secluded spots. It has dozens of fun amenities and adventures for families, catering both to the parents and to the little ones. And you don’t have to go to various places in the country either. Everything can be found in Kuala Lumpur — Malaysia’s capital and the sixth most visited city on Earth. Indulge your young ones and enjoy the wide variety of entertainment the city offers. Here are some of the best family spots in Kuala Lumpur. Nickelodeon Lost Lagoon. This is the first Nickelodeon theme park in Asia, and is located in a 10-hectare span of forested land. The Lagoon offers amazing attractions such as water plays, tube rides, and Nickelodeon’s signature slime. Children of all ages will have a blast in the park’s amenities. Of course, trademark Nickelodeon characters will also be there! Those who want a dash of extreme can try the Lagoon’s Monsoon 360 Vertical Free Fall ride. For a hot day, there’s nothing better for the family than a wet time with Splish Splash’s various exciting water effects. Adventurers of all ages will enjoy a journey throughout the Lagoon, via the Primeval ride. Where to stay: The Nickelodeon Lost Lagoon is settled right within the property of Sunway Resort Hotel and Spa. The Hotel has been awarded the 2016 Travellers Choice by TripAdvisor, so it’s a perfect family hotel in KL. There’s also an even larger theme park complex between the Lagoon and the Hotel proper, so there’s much more to see. 101 City Mall. Enjoy a cool time at the mall’s Olympic-size skating rink, or have some extreme fun at District 21. The latter is a post-apocalyptic theme park within the mall itself. Active children will have a blast! Since it’s in a mall, there are lots of shopping and entertainment spots all around. After a day of activity, you can sit down to watch a movie at the mall’s GSC Cinema. For a relaxing evening with the family, you can check out the Lake Symphony around the main entrance’s picturesque fountains. Where to stay: The Le Meridien Putrajaya is located within walking distance from the 101 City Mall. It has great rates, and an outstanding Family Program. Get up to half off the rates of your second room, and let your kids enjoy the hotel’s specially designed play rooms. Aquaria KLCC. This is not your average aquarium — you can actually have a sleepover with your kids here! Children six to thirteen can bed right beside the huge walls of water, watching the varied marine life. Those fourteen and above can sign up for the “Cage Rage” where they can go on a close encounter with the sea’s predators. There are more than 5,000 creatures in this aquarium . The Aquaria also offers feeding shows at different times of the day, with a different creature being fed at each time. This is an excellent educational experience for the kids as well. Of course, don’t forget to take home a shirt or a cool plushie from the gift shop on your way out. Where to stay: A couple of minutes out from the Aquaria is the Grand Hyatt Kuala Lumpur — a premiere hotel with family rooms and babysitting services. There is also a full slew of recreation options within the hotel itself. Kuala Lumpur is not your average vacation spot. It’s got feels, thrills, and moments of inimitable serenity. Treat your family to the vacation of a lifetime in this Global City. It’s an experience like no other. If you are into craft making, then you know how difficult it can be to organize your tools and supplies. Without an organization and storage system, your work area can turn into a huge mess. It is important to organize all your materials and tools efficiently so you can easily find them when you need them. Below are some tips on how you can do it. 1) Separate the tools and supplies from each other based on the material they’re made of. For instance, if you’re working with plastic, cloth, paper, or any other material, you should store each of them in separate compartments. If possible, label the storage boxes so that you know which box to open when you need a particular tool or material. 2) Get an ESD tote organizer. This is usually made of thick plastic with several compartments. This is great for storing materials for craft making supplies like beads, buttons, pins, pens, and brushes. ESD tote organizers are also easy to carry around. 3) Repurpose a shoe organizer for your tools and supplies. This is a simple trick that can save you some money. Shoe organizers come with compartments that you can use instead as storage places for your tools and supplies. 4) Make use of clear containers. You can use containers that are made of either glass or transparent plastic. This is so that you can clearly see what’s inside of the boxes. You don’t have to open up all the boxes just to find the tool or material that you currently need. 5) Utilize upright magazine holders for paper supplies. These magazine holders occupy less space as well as protect your paper materials from folding. You can use the same holders to separate paper scraps from unused paper. Organizing your craft making tools and supplies is actually not that difficult. A lot of the boxes and containers you need can be found just lying around in your home. Add an ESD tote organizer to the mix and you are good to go. No more eyesores and messy clutter in your work area. Exquisite pieces of wood furniture do not come in cheap. It’s quality and workmanship assures owners that the pieces will last for a very long time; and it will, with proper care and maintenance. You can find well-maintained luxury wooden furniture inside a showroom. Or, you can also shop at an online furniture store in Malaysia. These stores go to great lengths to ensure that the items still look brand new and eye-catching by the time they ship it to customers. Keep Furniture Out of the Sun – Hot summer sunlight streaming through windows can reach a temperature of above 140 degrees. This bakes the lacquer or varnish finishing, causing them to fade over time. Keep Furniture Away from Air Vents – Dry air also damages wooden furniture in the same way that overly damp or moist air does. During the summer, you may use a humidifier to keep the wood from cracking and shrinking. Use Warm Water and Mild Soap – Contrary to popular belief water and soap do not hurt wooden furniture. Just remember to wipe, not soak. You can use an old toothbrush with soft bristles to clean the hard-to-reach nooks and crannies. Afterwards, use a soft cloth to wipe it down. 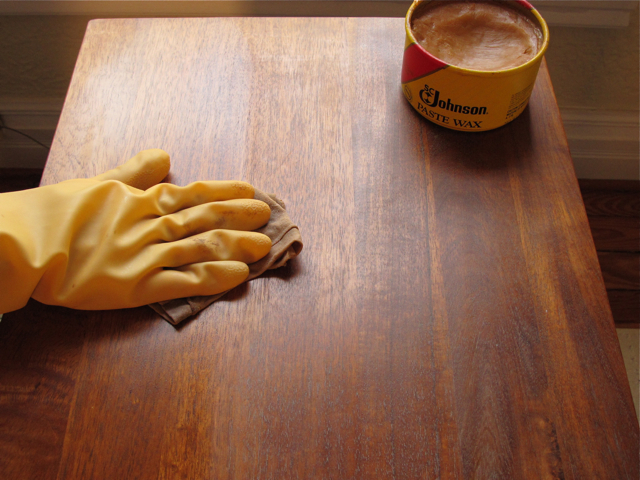 Use Wax – Like skin, wooden furniture must also be moisturised to keep it looking good. A high-quality paste wax will also protect the furniture’s finish and make it shiny and attractive. You only need to apply a thin coating of wax and let it sit for at least five minutes. Buff it using a shoe brush or a piece of cloth. Repeat the buffing process after an hour. You will be left with a high shine and glossy finish. 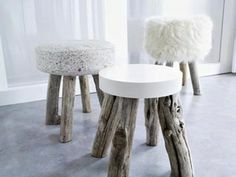 Wooden furniture is considered by many as an investment. It can last for many, many years and can even be handed down to future generations. It just needs a few minutes of cleaning and maintenance every couple of months.